Would women have done things much differently? By the end of this year, there is every chance that three of the biggest six economies on Earth will be run (or will be weeks away from being run) by women. Angela Merkel will still be German Chancellor; Theresa May will be UK Prime Minister; and Hillary Clinton is the odds-on favourite to beat Donald Trump to the White House. They will join powerful women already in place in two of the most significant global financial policy roles: Janet Yellen at the Federal Reserve and Christine Lagarde at the IMF. The world of commercial banking, on the other hand, is still resolutely male dominated. Off the top of my head, I can’t think of a single woman banking CEO. When I retired from my previous employer Deutsche Bank two years ago, in the group of 30 or so people of approximately equal seniority to me at the top of Deutsche’s investment bank, there was only one woman (a very talented woman it has to be said, but on her own). This was not a matter of official bank policy – far from it! The official policy was to try to encourage diversity in all its forms: race, religion, gender, sexuality, the works. And in many ways it succeeded – modern trading floors in big banks like Deutsche resemble the canteen at break times at the United Nations. I once tried to count the number of different nationalities I could physically see when I stood up at my trading floor seat but I gave up at around 25: Americans, Russians, French people, Aussies, Malays, Germans, Singaporeans, Poles, Indians, Slovaks – the list went on. Despite this, there were very few women – especially senior ones. When I started my career in 1990 it was easy to see why women might be discouraged. Trading floors were a bit unpleasant. Within a month of starting my career I had already witnessed three fistfights between traders when disputes got heated. Sexism was rife. Women were tolerated, but only in the ‘lesser’ role of client facing salesperson rather than that of risk taking trader. Even here they weren’t safe. “How are we looking?” a saleswoman once called over to a trader who was watching her client’s close-to-being-filled FX order. “I’m pretty buff. You’re not too bad for a stringy bird pushing 40” came the instant, shouted reply. Faced with this type of thing, many women quite sensibly stayed away from banking and especially trading floors. But by the mid 1990s to the early 2000s, the environment was changing. Partially as a result of managerial pressure – as banks grew and the struggle to attract talent intensified, even the most bone-headed board member realized that alienating 50% of their bank’s potential recruits might not be a profit maximising move. Overt sexism and racism were frowned on and diversity education programmes proliferated. Trading floors became close to being civilized. But still the gender balance was heavily skewed. I’ve heard explanations for this that emphasise the lack of female role models in senior positions. No doubt this played a part. 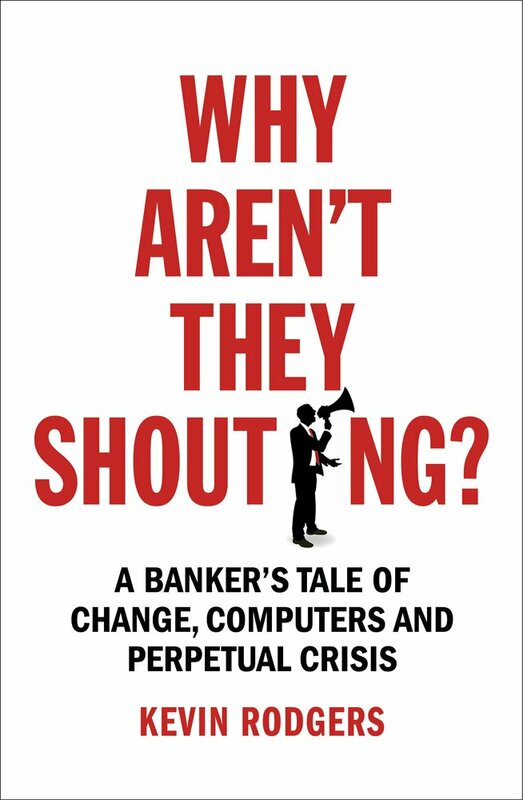 But I think there is a simpler explanation: as banking became more technologically focused, computationally intensive and mathematical, and as graduate recruitment became vitally important to growth, the lack of women studying technical subjects became a limitation. This was especially true for the crucial skills of computer science and engineering where (in the US) only 20% of graduates are female. Certainly, when I attempted to hire female graduates into the trading business I ran, it was exceptionally difficult to do so (although the ones who we did manage to hire were sensationally good). Which brings me at last to the title of this blog entry. In the wake of the Great Financial Crisis it became a popular claim among some female politicians and commentators that the crisis would not have happened if Lehman Brothers had, instead, been Lehman Sisters (and, by implication, the banking industry had been run by women). Women are not testosterone-fuelled risk takers. Women would have been too sensible, cautious and calm. And so on. In my view, this just isn’t right. First up, even though (on average) women are slightly more risk averse than men, the distributions overlap to a large extent. I could never detect any difference at all between the risk tolerance of the female traders in my team and men of similar experience and seniority. And, what’s more, a recent study suggests that when men and women work in combination they become more risk tolerant. If this is correct, and we focus on risk taking as the cause of the 2008 collapse, adding more women to the mix in the build up to the crisis may actually have made matters worse. “…not aware of the extent and the nature of its exposure to the Subprime and related markets until August 2007, and … thus unable to take appropriate measures in a timely manner” . And why was UBS ‘not aware’? It is my opinion that they, like most other banks, were blinded to the risk they were in by the technical apparatus of modern banking. Complicated derivatives that made risk difficult to understand. Deals cut and diced and shared from bank to bank until no one knew where the real risks resided. Complex, comforting, but fatally flawed mathematical risk models that relied on the future resembling the past. In short, the same computer-heavy environment that effectively barred many women from the trading floor. To believe the Lehman Sisters theory, then, we would need to believe that a female-led (or at least more gender balanced) banking industry would not have pursued this technological path. Given that it was industry-wide, global commercial competitive pressure that drove banks in this direction I find this difficult to believe. Maybe the pressures would have been different if women had been in charge of developed countries’ politics, finances and banking regulations in the 20 or 30 years prior to the Crisis? If that is really true, the rise of women leaders now should give us some comfort for the future. We will see.